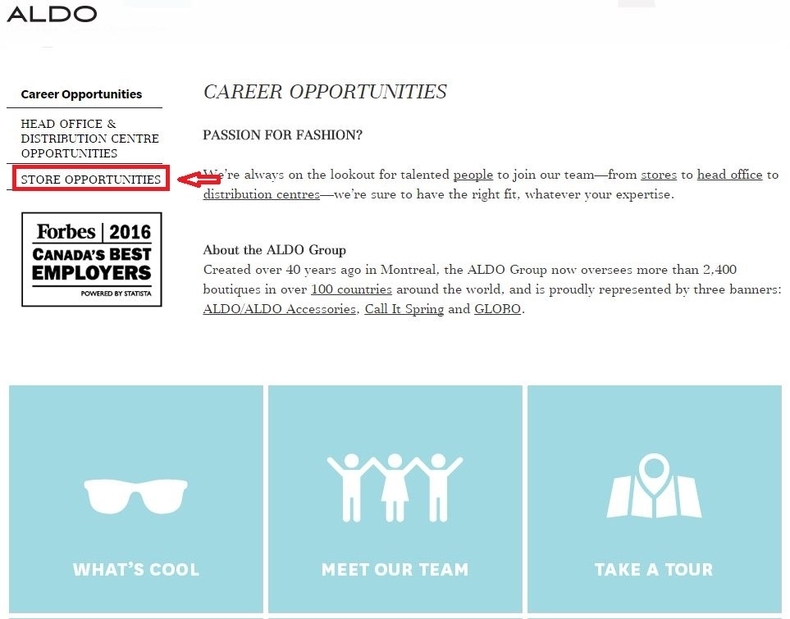 Visit Aldo careers page at aldogroup.com/careers or aldo.com/careers to know more about careers at Aldo. 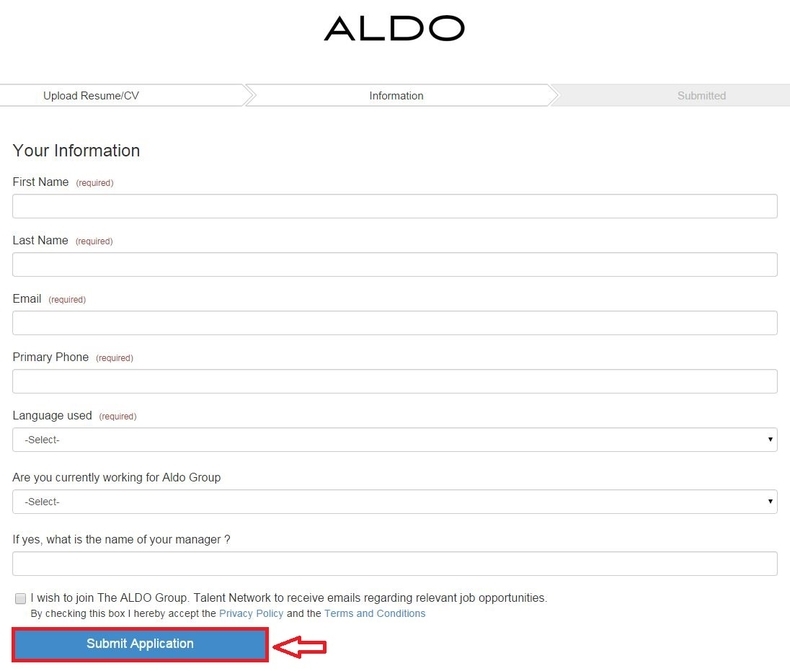 You can click the link "STORE OPPORTUNITIES" to start your job search. Enter job title, city, province or postal code and click "SEARCH" to find job opportunities you are interested in. Or you can click "All Jobs" to view the entire job openings list. Here we choose to view all jobs. Select the position you are going to apply for. 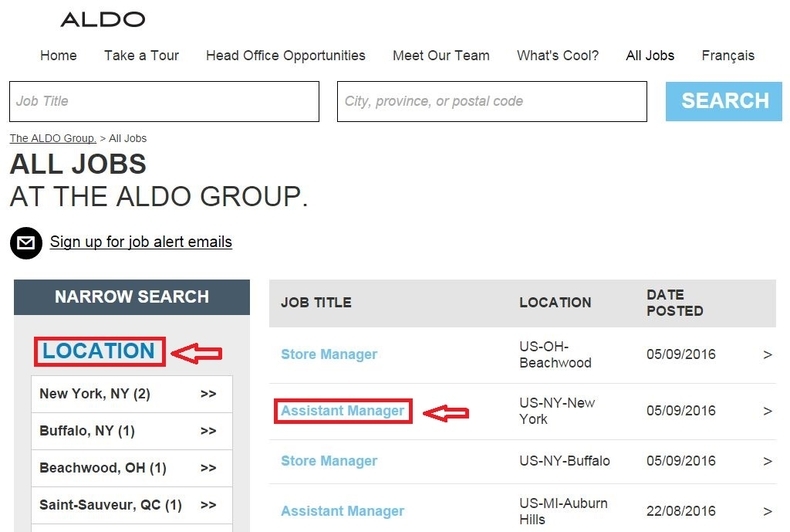 You can narrow your search results or the open jobs list by location and country on the left of the page. You can click the job title to view the details of each position and then select the one you want to apply for. Read more about the position, such as job overview, responsibilities, job requirements and think about whether you can match the requirements or you are sure to apply for the position. 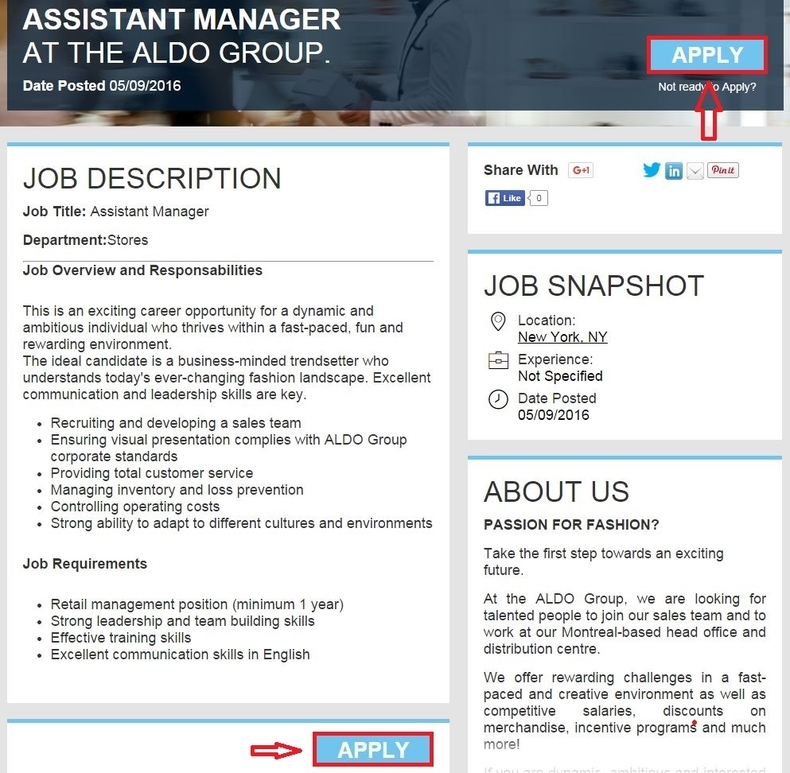 Once you decide to apply for the position, just click the button "APPLY" to start your job application. Choose the way to upload your resume and then click the button "Continue" to move on. You can upload your resume by selecting file from your computer, Google Drive, Dropbox etc or even copying and pasting in text and then click the button "Continue" to move on to the next step. The whole application process will be finished after you click "Submit Application" and you will can also choose to apply for similar jobs you may be interested. You will soon be contacted once you're proved to be equal to the job. 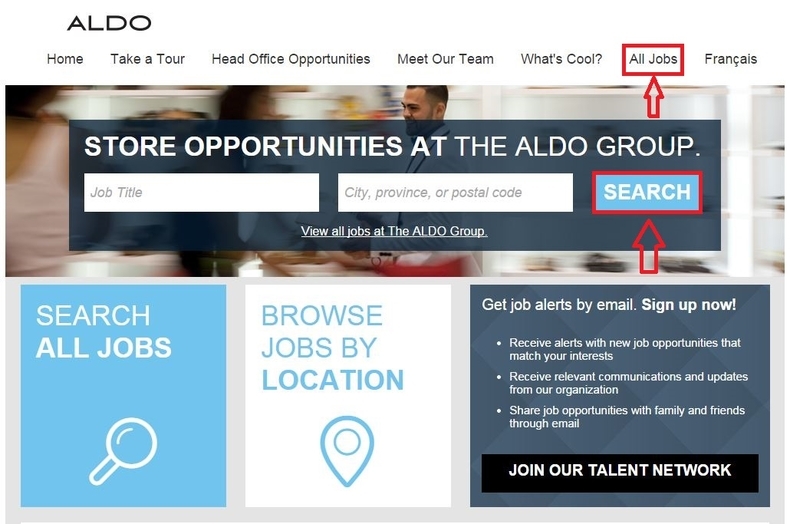 Click aldo.com/careers to apply for Aldo jobs online.